Introduction During the recently-concluded United Nations General Assembly in New York, USA, the Guyana Delegation led by Foreign Minister Carl Greenidge facilitated a meeting between the Governor of the Bank of Guyana and representatives of Merrill Lynch, the investment arm of the Bank of America Corporation which had expressed an interest in Guyana’s proposed Sovereign Wealth Fund. 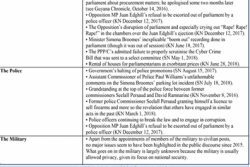 …But still an unlikely, military politician So you are some category of Guyanese – and over eighteen years. “I have a poem.” It’s such an innocuous line but one that hides a wealth of profundity. 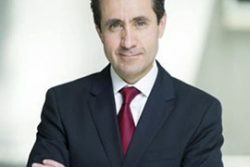 By Jorge Familiar World Bank Vice President for Latin America and the Caribbean On a recent trip to Latin America I met Marco Gómez, an inspiring young entrepreneur from Costa Rica who studied aerospace engineering abroad on a scholarship. It would come without warning, often after dinner and just before bedtime. My elderly mother’s response would depend on whether we were sweating in the usual city-wide blackout and struggling to sleep in the late night’s heavy heat. Given its pitiful management of the oil and gas sector, suspicions have also been raised concerning the many memorandums of understanding (MOUs) the government has been signing and particularly about those relating to that sector. If you think that most developing nations are hopeless — or, as President Trump reportedly said, that some of them are “shithole countries” — you should take a look at the World Bank’s new ranking of the world’s most promising nations: Most of them were basket cases not so long ago. By Ibrahim Assane Mayaki Ibrahim Assane Mayaki, a former Prime Minister of Niger, is CEO of the New Partnership for Africa’s Development (NEPAD). 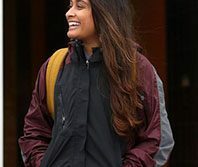 The registration period for the 2020 Diversity Immigrant Visa Program (Visa Lottery) has begun! By Suzanne Narain Suzanne Narain is a community activist in the Jane-Finch area of Toronto where she grew up, the child of Guyanese immigrants. It was the day of her school party. She was in the company of friends. Is the new film “A Star is Born” a musical? This seems a bizarre question to ask. Introduction In an advertisement appearing in the national media yesterday, the Ministry of Natural Resources, on its own behalf and that of the Government of Guyana, invited expressions of interest by Consultants desirous of providing services to the Project Execution Unit, presumably of the Ministry, to “conduct an audit of the Recoverable Contract Costs as called for in the signed Production Sharing Contract(s).” It also requires the successful person or Firm to provide on-the-job training to the staff of the Guyana Revenue Authority (GRA) and the Office of the Auditor General (OAG) on cost recovery auditing, “with a particular focus on value for money.” The advertisement sets out the scope of the consultancy to include: 1. Concerning the GNBA and NFMU No. It’ll be appropriate for me to “boast” that I was first to “advise” that the imminent Local Government Elections (LGE) would generate robust, even rancorous divisive contention for the rest of the year. This year, the Toronto International Film Festival made a concerted effort to shine a spotlight on women both in front of, and especially behind, the camera. Back in the 1980s, an unlikely colony of bright blue, cute, elf-like creatures soared to international success through a hit television animated series that aired on Saturday mornings. As this column has noted before, it was the dreaded Cardinal Richelieu who claimed, ‘If you give me six lines written by the hand of the most honest of men, I will find something in them which will hang him.’ In an extensive interview in the Guyana Review (SN: 02/10/2018), President David Granger and his interlocutor gave us many more lines, and, therefore, perhaps it should not be surprising that if some commentators are to be believed, both parties are destined for the gallows! 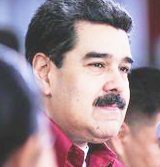 BOGOTA — Judging from what I heard in interviews with Latin American presidents and foreign ministers in recent days, an international effort to indict Venezuelan dictator Nicolas Maduro for possible crimes against humanity may soon get an extra push. What are the real issues confronting the Caribbean’s Ageing Diaspora and Regional Governments? By Shamette Hepburn Shamette Hepburn is a Caribbean national and an Assistant Professor at the School of Social Work, York University, Canada. I walked out of “Venom” with the dopiest smile on my face. 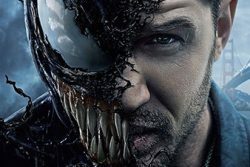 It’s slightly disorienting that “Venom,” which in its promotional materials leans in heavily, too heavily, on its dark-action-oriented premise, is least effective when it works at being a superhero/action movie. 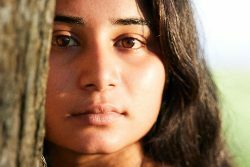 The tales of Guyanese women are not primarily shocking horror stories. Faith in the compassion of our people compels me to believe that the experiences of most Guyanese women are not shaped by trauma. Introduction Following last week’s call for a Commission of Inquiry into the Petroleum Sector, more than a handful of individuals approached me enquiring whether the call was serious and what would be the expected outcome. 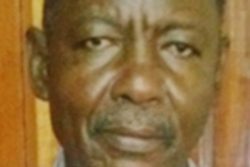 -When His Excellency retires – at 80… Sometimes “repetition-for-emphasis” – an old-school teaching technique – can be useful. A Greek comic poet of the 4th century BC, Eubulus joked about alcohol consumption and its deleterious effects recommending no more than three measured drinks as sensible. Our May 4, 2016 Stabroek News column (SN), focused on institutional trust and citizen engagement in Guyana. 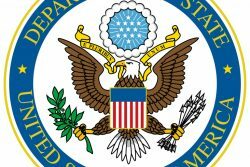 Ms. Volda Lawrence, the Minister of Public Health, when speaking to a gathering of overseas Guyanese in the United States last week, stated that Guyana and Caribbean countries should stop complaining about the impact of the brain drain of nurses. By Gro Harlem Brundtland OSLO – The late Kofi Annan once said that climate change is the “existential issue of our time.” A wave of extreme weather events this past summer – from wildfires in California and Sweden to floods in India and drought in Australia – show just how right he was. Judging from the latest polls, we may see a major turn to the left in Latin America’s political map: The two largest countries in the region — Mexico and Brazil — may soon have leftist presidents. By Lincoln Lewis Lincoln Lewis brings more than three decades of local, regional and international trade union experience. The following article contains content about sexual abuse that may trigger an anxiety response in some readers. 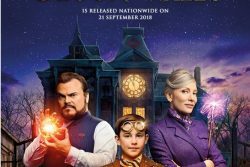 “The House with a Clock in Its Walls” feels almost anomalous in 2018. Introduction It was good to see Dr. Mark Bynoe, Director/Head of the Department of Energy in the Ministry of the Presidency speaking publicly on the petroleum sector. -do you care to vote in November? I suppose that every year I indulge – in muted exasperation – and acceptance? As elegant beauties go, she is extraordinary and unforgettable. Yet only a fortunate few can claim to have ever met her. 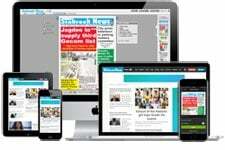 ‘Although it has bountiful resources, including gold and diamonds, Guyana is in the throes of one of the worst economic declines in the developing world. 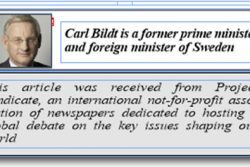 By Carl Bildt STOCKHOLM – Heat waves and extreme-weather events across the Northern Hemisphere this summer have brought climate change back to the forefront of public debate. After several years in which the so-called “Group of Lima” of Latin American democracies had made great progress in speaking up collectively against Venezuela’s dictatorship, most of its members have now issued an unfortunate statement that will hurt the cause of freedom in Venezuela. Two films at TIFF this year – both inspired by true events – seemed preternaturally linked in their representations of race and racism in Europe. By Felician Medino Abraham Felician Medino Abraham is from Santa Rosa Moruca. He holds a Masters in Society and Frontier from the Federal University of Roraima UFRR, Brazil in 2017, where he produced a study on the Wapichans’ experience of formal education. 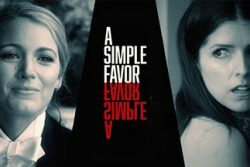 “Secrets are like margarine,” quips Stephanie, the protagonist of “A Simple Favor,” Paul Feig’s new mystery/comedy/thriller. “I was raped,” she said. Stunned by her confession, I wondered: Should I hug her? One million for little Sunil’s life? Sexual misconduct: America and the Third World This humble column hereby lays claim to directing national attention – some two years ago – to the fact that the 2020 General Elections will attract some robust characteristics. Introduction Amid all the noise about audits and Memorandum of Understanding, it is understandable and not at all surprising that a letter to the editor might have received less attention than it would have otherwise deserved. From pseudo biopics like “Colette” and imagined biopics like “Roma” to inspired-by-true-events films like “Viper Club” and “Cold War,” the dichotomy between the real and the imagined seemed of recurring value throughout TIFF 18. Leaping into the air, the lanky Trinidadian medium-pacer with the trademark tan mohawk took a spectacular right-hand catch, gripping the ball even as he tumbled at mid-on. Is the government winging it? That some very poor and costly decisions in Guyana’s budding oil and gas sector have recently been visited upon Guyanese is now sufficiently established. 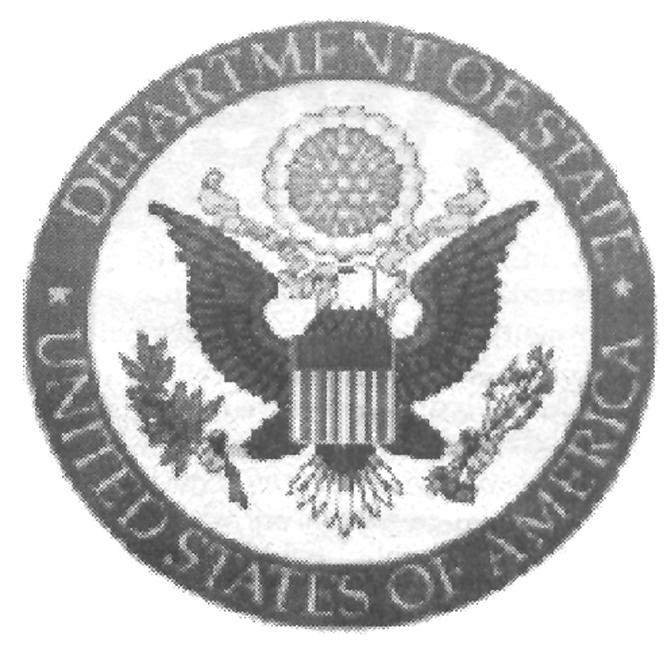 The U.S. Embassy is happy to answer American citizens’ questions about voting in this year’s mid-term election. 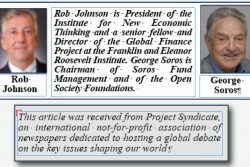 By Rob Johnson and George Soros NEW YORK – The recent exchange between Joe Stiglitz and Larry Summers about “secular stagnation” and its relation to the tepid economic recovery after the 2008-2009 financial crisis is an important one. At the world premiere of “Ben is Back” at the Toronto International Film Festival last week, writer and director Peter Hedges discussed the reason he built his film about addiction around a single day. 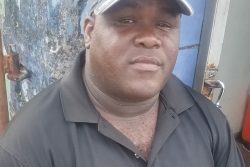 With local government elections set for November 12, we asked the man/woman in the street at various points on the West Demerara, in Georgetown and Berbice if they will they be voting and about the issues being experienced in their communities.